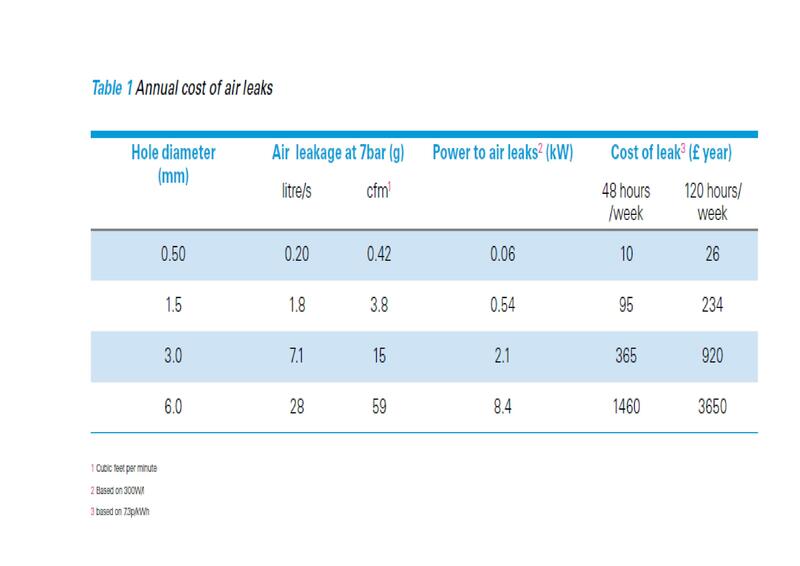 Leakage is the single largest waste of energy associated with compressed air systems with rates exceeding 50% of site consumption being common. The table below illustrates losses experienced within a typical system. Detecting leaks is a straightforward matter and can be achieved by using the old fashioned soapy water technique. This works but is slow, messy and cannot be performed from a distance. 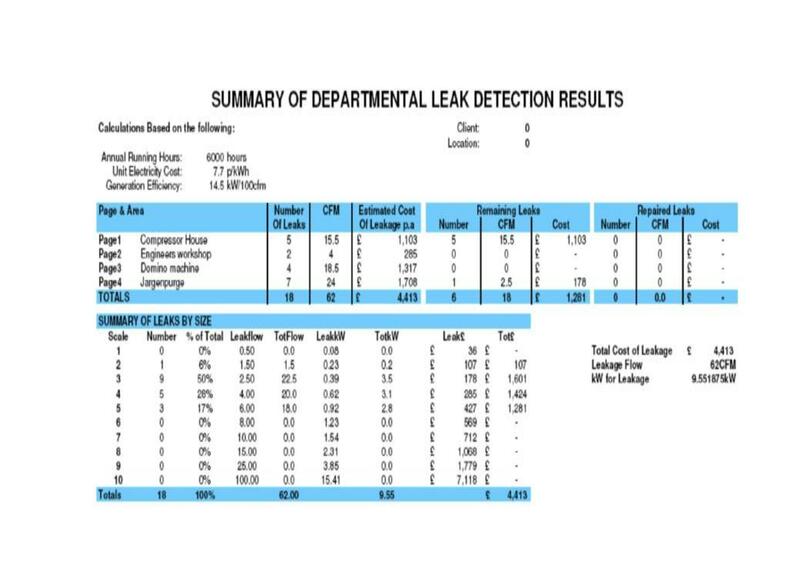 Why not let Logis-Tech conduct an ultrasonic survey or invest in an ultrasonic leak detector? Good ultrasonic detectors can highlight leaks from over 50 feet away even in noisy plant areas enabling you to complete a survey in very little time and save a fortune in compressed air costs.